This week I'd like to introduce you to Inking Everything team member, Chris Twing who blogs at For The Love of Paper. 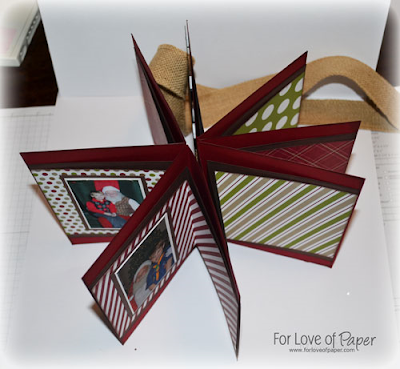 Chris has created for us a Star Mini Book Album just in time to show for Christmas gift giving. 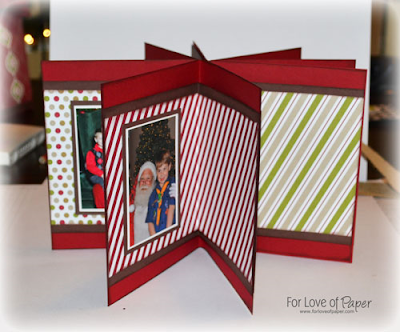 This is a great way to showcase picture gifts for loved one and Chris has a video tutorial on the project HERE. 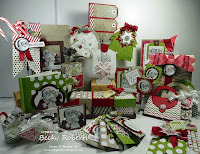 Chris is new again to Stampin' Up! and I'm so excited she's back! 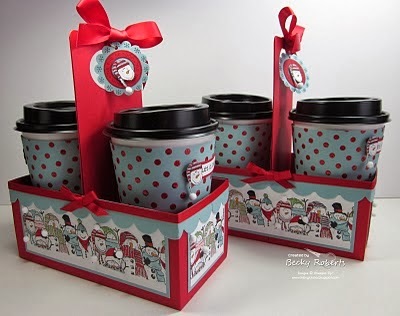 Some of you who have stamped with me for a long time may remember, December 2010, when I used Chris' idea for the coffee cups for one of my creative gift packaging ideas. Later this week I can't wait to show you this same project in miniature!!! Welcome back Chris! I look forward to seeing more of you and your projects. Adding you to my blog followings! I'm with you Lorri...running out of time. Pushing to Valentine's day is good thinking!